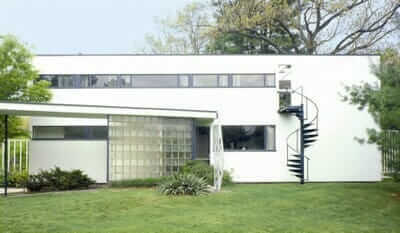 Second in a special series of stories spotlighting historic mid century homes across America that are open to visitors. Louis Armstrong’s home — with an interior that combines both “modern” and “modest” — is now open to visitors and looks to be well worth a visit. The house, built by Thomas Daly in 1910, is located in North Corona in Queens, New York. In 1943, Lucille Armstrong bought the house for her husband as a surprise – at an excellent price of $3500. Although Lucille got a bargain on the house, she and Louis had big $ ideas for the house. First, she bought the home next door and tore it down so she could create a her giant Japanese garden. Louis had his own ideas as well, like the outdoor bar & grill that is still there today. They added a large cornice that sits atop the second floor of their home, then eventually a third floor. 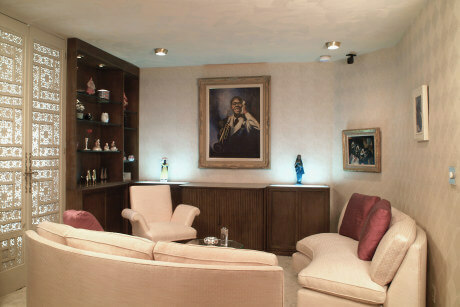 The interior of the home was lavishly decorated with items the Armstrongs had collected from all over the world. Some of the more notable items are a crucifix made by Salvador Dali, which sits in a special religious built- in, and a portrait of Louis by Tony Bennett. There are only two bathrooms in the house. However, they are no exception to the elegant theme — one was featured on an episode of Lifestyles of the Rich & Famous in 1994.. 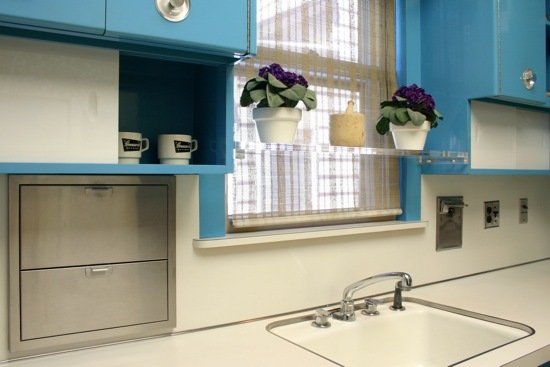 These beautiful steel cabinets were custom made by Kingsway, a firm in Brooklyn. 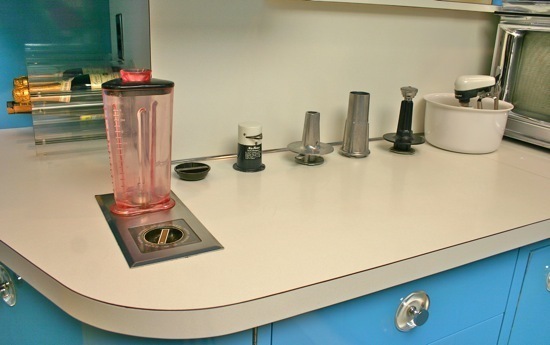 The Armstrongs had all the new technology installed as well, including an unheard of combo stove-oven (brand: Crown) and innovate built-in appliances like a Nutone food processor, to name a few.. Check out the built in shelving under the cabinets and the acrylic shelf in front of the window. Do you think the window trim was painted to match the cabinets or are they steel covers? Either way it is a nice touch. 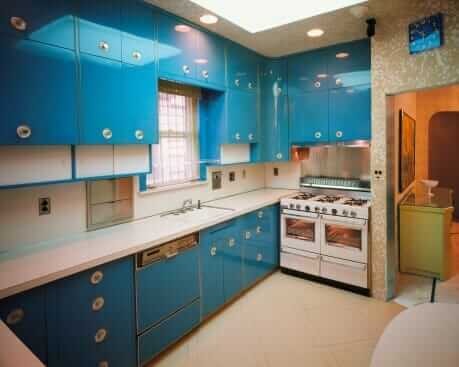 Off the kitchen is the den where Louis frequently used to record his music and hang out with his famous friends. 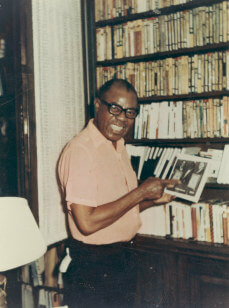 In 1971, Louis passed away while sleeping in the master bedroom. Lucille happily lived in the home for 42 years until she died while attending a ceremony in his honor. After doing all this research, I wish I would have tried to visit the Louis Armstrong House Museum while I was in Massachusetts with Aunt Pam. It sounds like a lot of fun. Many thanks to the Museum, and especially to Lesley, who really helped out with the images. And, thanks to Reader Jason, who first alerted us to this house based on the article on AT: The Kitchn. 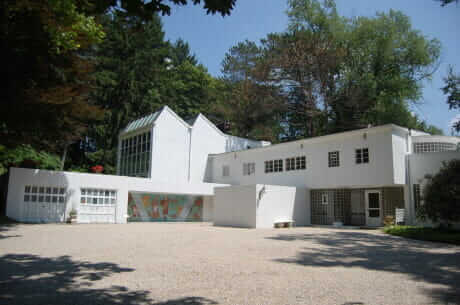 Read all our stories about historic mid century homes you can visit here. NOTE: These photos are for use only in RetroRenovation.com’s blog post about the Louis Armstrong House Museum and may not be reproduced, published, broadcast, or distributed for any other purpose without written permission from the Louis Armstrong House Museum. I am lucky enough to live in Queens. 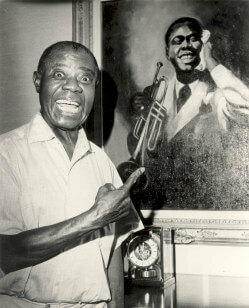 My family and I have visited Louis Armstrong house museum twice. A fun tour, even my little ones enjoyed it. The kitchen is awesome. Wish I could see this amazing kitchen but I live in London uk..
I’m trying to recreate this look as accurate as possible for my kitchen. Do you know which color it is ? Could you give me any info, any color code ? I’m really struggling to match it from only a few pictures. That kitchen is an absolute dream and the bathrooms are amazing too. 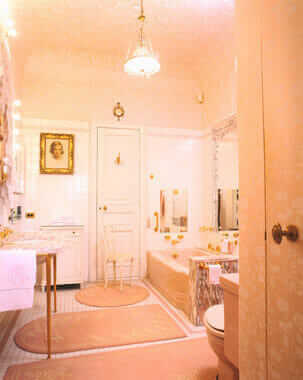 One has mirrored everything and gold fixtures. It might sound crazy but it looks amazing. And I bet it was a breeze to clean too! It really is a modest family with some seriously high end appointments. Classy but cool, just like Mr. Armstrong! 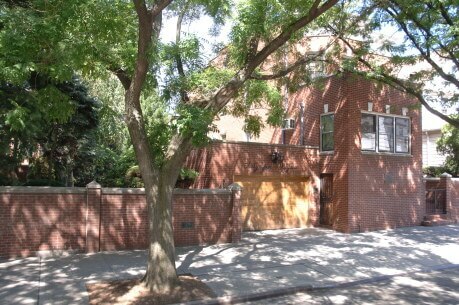 first toured this home while visiting national jazz museum in harlem. i love this place. have visited it 3 times. crave the kitchen, but the other rooms are to die for also–very calming except the mirrored bathroom and foiled dressing room! lol. lucille’s glitz love from dancing at the copa cabana really shows there.